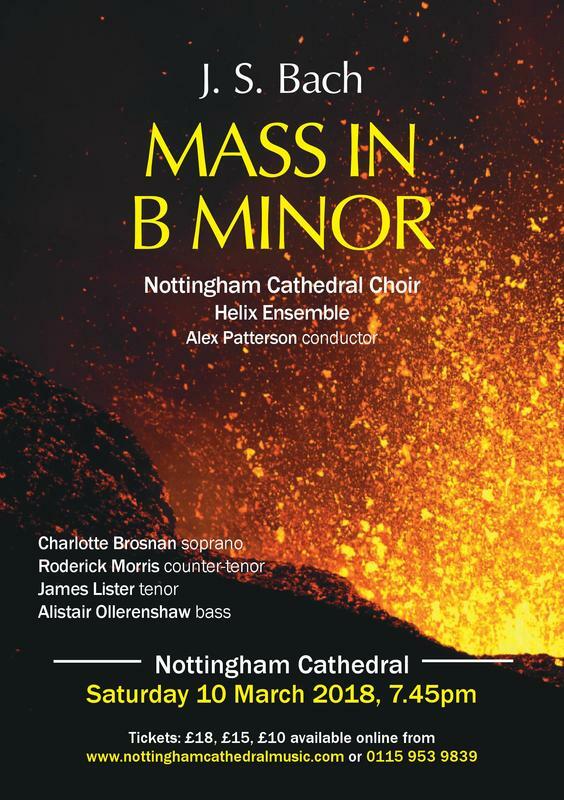 Experience the raw power and majesty of Bach’s Mass in B Minor in the beautiful setting of Nottingham’s Pugin-designed Cathedral with superlative young soloists, the Nottingham Cathedral Choir, and Helix Ensemble, directed by Alex Patterson. Refreshments available in Cathedral Hall from 6.30pm (access to the Cathedral is restricted until 7.25pm). There will be one interval of 20 mins.